Wolfsburg - After an inauspicious start, VfL Wolfsburg will look to get their stuttering season up and running when they welcome TSG 1899 Hoffenheim to the Volkswagen Arena on Matchday 9 (kick-off 15:30 CEST/13:30 GMT). 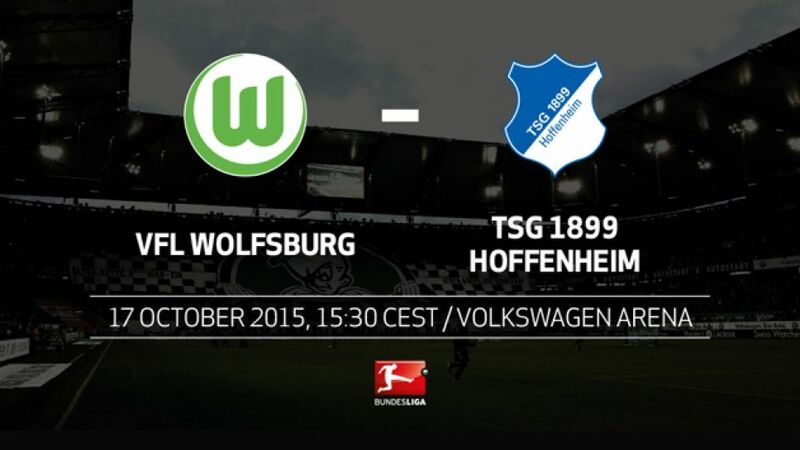 Wolfsburg are winless in their last three games, picking up just one point in that time. Hoffenheim, meanwhile, are undefeated in three and have taken five points during that run.The Wolves are unbeaten in their last 26 home matches, an on-going club record.Hoffenheim's only win of the season so far came on the road at FC Augsburg. They last managed two away victories on the spin over three years ago.Andre Schürrle made his Wolfsburg debut in a 3-0 victory over Hoffenheim in January and won all eight matches against TSG for previous club Bayer 04 Leverkusen, scoring four goals.Kevin Volland has scored braces in consecutive weeks, having managed a double only once his previous 105 Bundesliga games.Max Kruse is still waiting for his first league goal for Wolfsburg after drawing eight blanks. For both Borussia Mönchengladbach and SC Freiburg, he had already scored in his first eight appearances.Hoffenheim have squandered a lead on five occasions this season, more than any other side.Wolves trio Dante, Naldo and Luiz Gustavo are the longest-serving active Brazilian players in the league.